Thread: Just Placed Order for DX-1G... Merry Christmas to Me! Thanks to DevilDiver for his thread about the camera and answering the follow-up questions that I had. And huge thanks to Joe for putting together a fantastic package price that allowed me to make this purchase! I can't wait until it arrives. Unfortunately, I'll be practicing on land until my next dive trip. Hopefully, that will only be until the end of February. 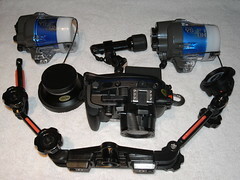 By BORG in forum Welcome to our Scuba Forum! Introduce Yourself! By setesh in forum Welcome to our Scuba Forum! Introduce Yourself!